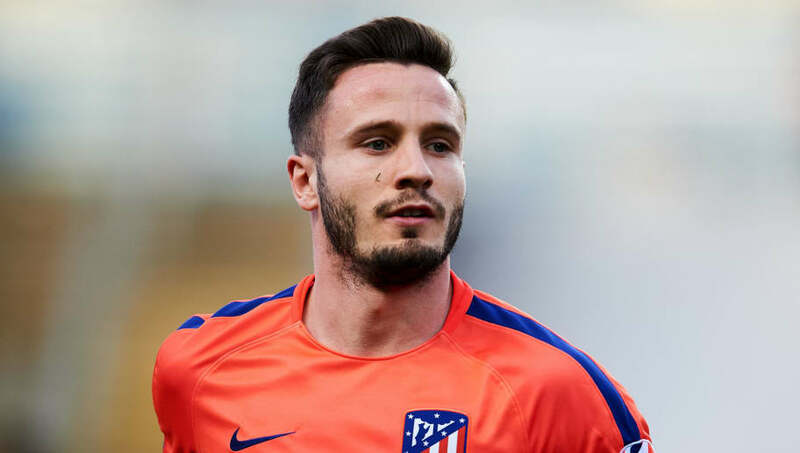 ​Both Manchester clubs may have been handed some major encouragement in their respective pursuits of Atletico Madrid midfielder Saul Ñiguez this week, as reports from Spain claim he is considering his future in the Spanish capital. Atletico are facing something of a transitional summer, with Lucas Hernandez already having secured a move to Bayern Munich, while a catalogue of other stars - Saul included - have been heavily linked with moves away. It is believed the club desperately want to keep hold of the 24-year-old, and could go as far as offering him a new deal in order to tie him down, but ​AS report that he is 'open' to a fresh start, opening the door to both ​Manchester United and Premier League champions ​City. Though his lofty £130m release clause could prove a stumbling block, should he decide to leave, it doesn't seem likely ​Atletico will hold out for that figure. Mundo Deportivo (via ​Sport Witness) expand on United's interest, going as far to say that Atletico 'already know' a bid is incoming from Ole Gunnar Solskjaer's side, and they are awaiting a response from the midfielder before deciding on the course of action. United​ lost 1-0 to Barcelona at Old Trafford on Wednesday, and it is believed that Solskjaer could use the return leg in Spain to have a first-hand look at Saul, with Atletico facing Celta Vigo and Eibar either side of United's visit to Catalonia. In the case of City, it is believed that former ​Barça boss Pep Guardiola is a big admirer of Saul, and he is seen as the long-term heir to 33-year-old Fernandinho. City were reported to have failed in an effort to land Jorginho in the summer, with the Italian moving to Chelsea instead, so it doesn't come as a surprise to see them linked with another world class central midfielder. If he does end up in Manchester next season, Saul certainly looks like a promising option for either side.